Welcome to Cow Bay, Nova Scotia, home to Seaside Rug Hooking, owned and operated by Ruth Downing. 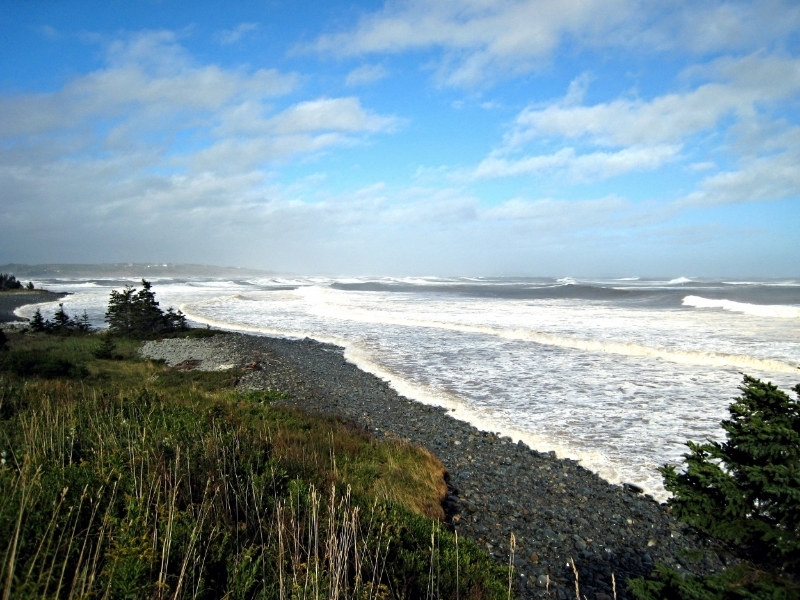 Cow Bay is a coastal community on the Eastern Shore brimming with incredible natural beauty and lovely views of headlands and a jagged coastline. Here, one witnesses an ever changing scene of tides and powerful surf, hence a surfer’s delight! This perfect, natural backdrop provides a serene and inspiring setting for hookers alike as they settle in to relax and hook. Ruth’s home takes full advantage of the view. The large hooking room (studio) on the lower level basks in plenty of natural light while taking in the sights and sounds of the ocean. As a teacher of rug hooking, Ruth is always inspired by her students’ interest and enthusiasm for learning, their talent and creativity, and the warm interaction that is experienced within the class and beyond. She strives to provide a well balanced course that prepares the students with enough information and technique to finish their rugs and apply their knowledge to future projects, while having fun in the process. Ruth offers two and three day workshops in Portraits, Pictorials and Fine Shaded Flowers. Her classes generally run during the Spring and Fall depending on demand and availability. Ruth also travels to other communities to teach classes. If there is a group in your area interested in one of her workshops she would be happy to discuss the details with you. Traditional Rug Hooking is a fibre art. Wool fabric is cut into narrow or wide strips. A hook is used to pull these strips through backing material such as burlap or linen. The loops formed create a pile surface which becomes a mat or rug. Ruth carries supplies for the needs of her students. These include: wools (spot dyes and swatches), textures and recycled wool, yarns and roving, hooks, scissors, linen, rug warp, red dot, and binding tape.